Raymond L. Rudolph, Jr., PE, Chief Executive Officer of CHA, will address the Albany Roundtable on Wednesday, April 10, 2013. Albany Roundtable luncheon meetings are held at the National Register-listed University Club, 141 Washington Avenue at Dove Street in Albany, and are open to the public. 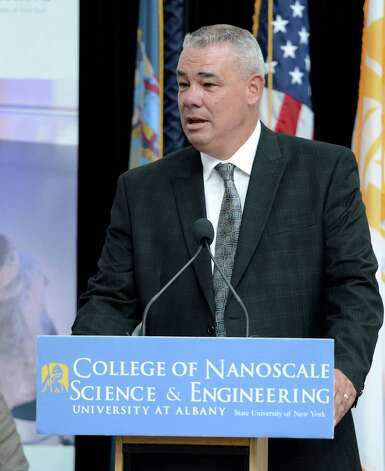 In the summer of 2012, CHA announced its participation in an initiative to support SUNY Albany’s College of Nanoscale Science and Engineering’s (CNSE’s) efforts to combine innovation and education in next-generation technologies to establish the Albany as a hub for 21st century industry. Rudolph will provide an overview of CHA’s role in passenger rail projects, advanced manufacturing, nanotechnology and “smart cities,” and their plans to establish an office in Kiernan Plaza in downtown Albany. CHA is a full service engineering firm with the in-house capabilities to supply the engineering, planning, surveying, permitting, environmental, and construction inspection and administration services needed to complete complicated projects. This eliminates the need for their clients to engage multiple subcontractors, increases efficiency and reduces expenses. The cost for the luncheon is $20, which may be paid at the door. The Roundtable is also offering its guests the option of paying in advance with a credit card. The University Club will serve a hot and cold buffet from 12:00 noon to 1:00 p.m., with the program commencing at 12:30. Reservations for the April 10 luncheon are required by Monday, April 8 and may be made by prepaying online, by calling 518-431-1400 (the Albany Colonie Regional Chamber of Commerce) or by sending an e-mail to albanyroundtable@yahoo.com. The Albany Roundtable’s annual evening reception, featuring Visiting Speaker Jeff Speck, will be held at the University Club on Wednesday, May 22. Speck is an architect, planner and the author of Walkable City: How Downtown Can Save America, One Step at a Time. The following day, the Albany Roundtable will sponsor a workshop with Speck for planning professionals, municipal leaders and interested citizens, titled “Walkability 101- 999: Everything You Need to Know to Make Your City More Walkable.” Tickets for these events may be purchased online after April 15 at www.albanyroundtable.blogspot.com .